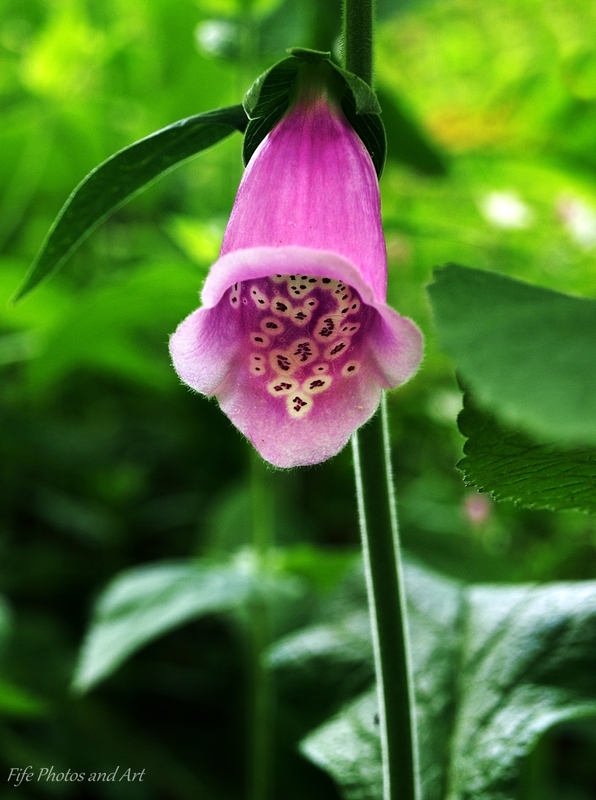 This entry was posted in Fine Art Photography, Geology, Weekly Photographic Challenge, Wildlife and tagged Fife, foxgloves, Geology, nature, nature photography, Scotland, Weekly Photographic Challenge, wild flowers, wpc. Bookmark the permalink. I always used to like foxgloves and was most disappointed when my parents dug them out 😦 Gorgeous pix. You’re right Poppy, it is a rarity not to see a bee disappearing off the foxgloves landing strip!! 🙂 And they are a great flower to photo! I hadn’t realised until a few years ago, how hairy the inside of a foxglove is!! 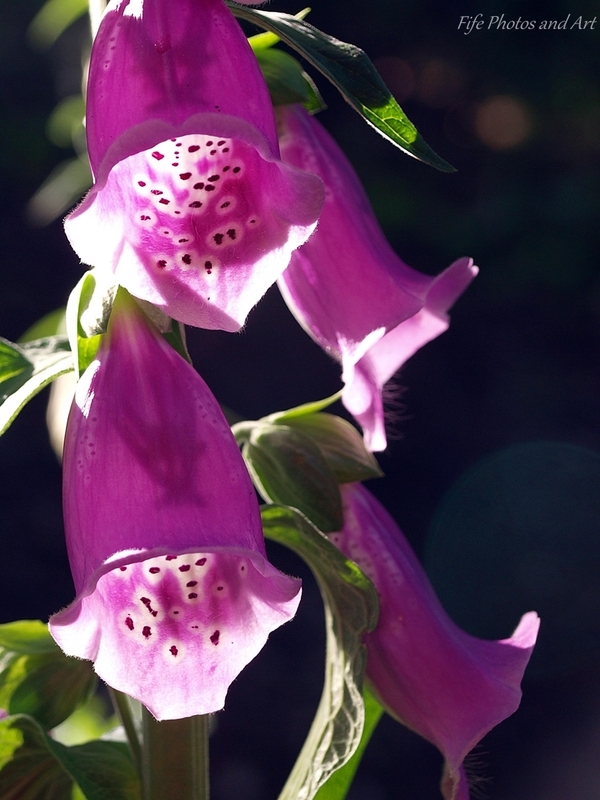 Some of the best photos I’ve seen of foxgloves, Andy. Beautiful. I would be inclined to call those ‘elf spots’! It looks as if the fairies have been hiding in there. What gorgeous flowers and so unique! thanks for sharing them with us! I have never seen something like that, the spots of them are so amazing! I think the plant uses the spots to somehow attract bees and other insects to them – bumble bees in particular seem to love foxgloves! wow that is so interesting. I love nature it is amazing! It sure is! your photos capture it so well! Thanks again Lynz 🙂 It’s great to get this much appreciation! Thank you Vonita 🙂 They are fairly common over here, and yes, they are beautiful! Thanks for a reminder of a flower enjoyed capturing when we lived in Somerset. I appreciated you sharing the soil they require. I think I remember seeing a post on Lornas blog (https://lornaspics.wordpress.com/2015/08/16/yellow-foxglove/) with some yellow foxgloves, they are very unusual. Foxglove is beautiful but not so common in this area of the US. I have tried raising them but they must not like our sandy soil. Like you, I believe the native weeds and wildflowers to be the most beautiful. It’s as if they belong strewn about growing wild and casting seed on the winds! I’m just guessing, but maybe you are on a calcareous sandstone as your bedrock, foxgloves appear to be sort of calcium carbonate intolerant. The calcite in some sandstones just forms the cement holding the grains together, and thus isn’t that obvious to the naked eye. 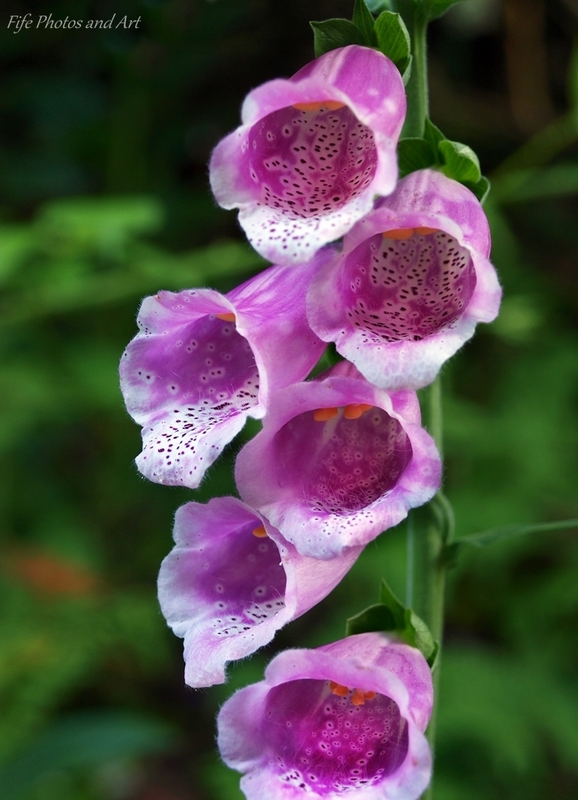 When I was very little, my grandmother told me that foxgloves made medicine to mend peoples hearts and I’ve loved them ever since! Boxhill and the surrounding Downs were good for orchids twenty years later, hopefully they are still good! I have moved around a wee bit, I’ve almost covered the four corners of the UK, but with nothing in between!! Lol! I’ve lived here in Fife, Anglesey, Cornwall and Surrey (oh and London for two years whilst at college). Yes, I get itchy feet, too – but sometimes you just have to stay put. I’m not sure I could cope with London nowadays. I’d probably have liked it when I was younger. I suppose I’ve got used to the rural life. I must admit, even when I was younger I didn’t really enjoy London, I constantly wanted to get back to the countryside! I think I would have enjoyed it more if digital cameras had been invented at that time. I was there just before the Docklands were ruined, and I wish I had a proper record of that part of London as it used to be, it was so full of character, even though it was fairly run down! Oh yes, I can understand how you feel about the Docklands. Photographic records like that would be invaluable for the future. I can also understand your need to get back to the countryside.We feel exactly like that after we’ve visited people in cities. Lol!!!! I don’t mind the driving, mind you as I get older I find I don’t actually enjoy city driving any more, it’s just a thing that needs to be done sometimes. But I don’t like not being able to get away from the sound of traffic and people when I’m out on a walk! I should think Fife has some lovely quiet spots. Your photos look to be in wonderful locations. Very rural and peaceful. I think most of Scotland is very peaceful, away from the Central Valley. I love to visit Edinburgh, but prefer further north. I’ve never been to Glasgow, but it doesn’t appeal at all. You live in a lovely place and it sounds as though you are happy there.